Janet Clarke McKinley ’76 remembers the first time she saw something as small as a $20 loan change a woman’s life. It happened about twenty years ago, when McKinley, then a successful mutual fund manager and longtime supporter of the antipoverty group Oxfam America, visited Vietnam with her colleague and future husband, George Miller. They were there to observe a new program that Oxfam was piloting to provide loans to women in impoverished communities. On their first morning, McKinley and Miller were met by a member of the Vietnam Women’s Union, and together they drove for hours through the countryside outside Hanoi to attend a meeting of about fifty women who had or would soon receive their first loan. Most of the women, McKinley learned, were using the loans—ranging from $20 to $50—to fund projects such as pig farming and fish cultivation. The results had been remarkable. In many cases, women who had made just $2 a month were doubling their income in the first loan cycle, and in five years they had all crossed the poverty line. Their savings turned into new roofs, cement floors, and sometimes brand-new homes. Their old huts were now pens for pigs, or new shops. What moved McKinley even more deeply, though, was the noticeable change in self-confidence and self-esteem among the women who had borrowed and repaid money. The women who went to the front of the room to receive their first loans “weren’t even looking up; they were all scrunched over,” she says. They put the money in a hair clip and looked nervous as they retreated to their seats. By contrast, “the women who were paying back and getting new loans, they were running the meetings,” says McKinley. Before they left, McKinley and Miller asked the women if they had a message for Oxfam. “A woman got up and said, ‘Yes. The message is: Thank you, Oxfam, and make more loans,’” McKinley recalls. Until that point, McKinley hadn’t heard the term “microfinance.” In many ways, this trip was a philanthropic awakening. If such a small amount of money could have such a dramatic impact on a woman’s life, she reasoned, then why not answer the call from these women and provide more loans? Since that moment, McKinley has become a deeply committed philanthropist and a leading voice in the worldwide fight against poverty. Almost immediately after returning from Vietnam, she and Miller worked with Oxfam to fund a multiyear microfinance program there, which is now a thriving microfinance bank. Eventually, she retired from the investment business to devote herself full-time to chairing the board of Oxfam (from 2004 to 2010) and using her own wealth to fund programs that she believes will have a direct and lasting impact on communities. McKinley’s philosophy is simple: If they are given a small amount of capital, hard-working people, no matter where they’re from, will start businesses, form partnerships, and fuel innovation. As McKinley has seen, the dividends from such a small initial investment can be huge: Incomes grow, families are more secure, communities are stronger, and countries prosper. Women, in particular, become more empowered by owning property and playing a greater role in managing household income. This idea of building people up with small loans is not new. For decades, organizations like ACCION International, Grameen Bank, and the Self Employed Women’s Association (SEWA) have been providing microcredit to poor people in rural communities in Bangladesh, India, Africa, and Latin America. Despite some bumps along the way—mostly related to high administrative costs and unpaid loans—microfinance has emerged as a viable tool in the fight against global poverty. In 2010, according to a New York Times article, the microfinance industry had assets of more than $60 billion. In that same year, according to a report by the Microcredit Summit Campaign, more than 200 million people worldwide received a microloan. The same report indicates that from 1999 to 2010 the number of the poorest women reached with a loan grew from about 10 million to 113 million. What impresses her are programs like ones run by Oxfam and Grameen Foundation USA that address the roots of poverty through “gateway investments” that lead to other improvements in a community. To illustrate, McKinley recounts a trip she took to Adiha in northern Ethiopia, a desertlike region, to see the results of an Oxfam-funded irrigation system run by local residents, including women. The local government, impressed by the village’s agricultural success, added electricity and paved roads to help the village bring its goods to the market, rewarding this gateway investment with community-wide improvements. After Smith and a Fulbright to Poland, McKinley returned to the States and went to work as a financial analyst at International Paper in New York City. She quickly realized, though, that her limited knowledge of finance was a problem. “I hadn’t even taken an econ class at Smith,” she says. So she enrolled in night classes at New York University Graduate School of Business. “I was literally learning things at night that I was using in the daytime,” she says. In 1982, she was recruited by Capital Research and Management Company, a private money management firm, to work as their global paper and forest products analyst. What followed was an illustrious, two-decade-long career at Capital Research, including a stint as chair of the Income Fund of America that saw McKinley managing billions of dollars in mutual fund assets. When Oxfam America approached her to chair its board following her retirement from Capital Research in 2004, she was ready for a new challenge, and the idea of trying to find solutions to the problem of global poverty fit perfectly with her personal goals. At Oxfam, she brought her financial acumen to bear as she led the group’s first major multiyear fundraising campaign, helping Oxfam raise more than $63 million, far exceeding the group’s $50 million goal. As board chair, McKinley encouraged better accountability for how donor funds were used and how effective each investment ultimately was. “Donor money is finite, and the problems facing the world’s most vulnerable people are virtually infinite,” McKinley says, “so we have a responsibility to put donor money to work as effectively as possible.” She also supported a private sector group created by Oxfam America that tapped businesses to work with the organization to solve problems in the developing world. One such success was a crop insurance product for Ethiopian farmers supported by the insurance risk management company Swiss Re. Raymond Offenheiser, president of Oxfam America, praised McKinley’s strong investment management skills as well as her personal commitment to supporting the organization and encouraging other board members to do the same. “She walked the talk and modeled what she believed in terms of philanthropic practice,” he says. Her philanthropy didn’t end at Oxfam. Remembering how generous Smith was in providing her with financial aid, she felt responsible for giving current students the same opportunities. 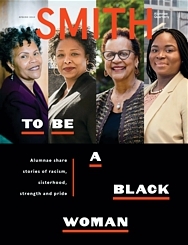 In 2003, she joined the college’s board of trustees, serving until 2010, and made a significant gift to the Smith Community Scholars program that ultimately made it possible for dozens of young women attending community colleges to transfer to Smith to receive their bachelor’s degrees. Closer to home, she has turned her attention to education, believing deeply that it is a path to a better life, especially for children from disadvantaged backgrounds. She and her husband support a Knowledge Is Power Program (KIPP) charter middle school in an underserved area of San Francisco, and they fund scholarships to the University of California, Berkeley, just across the Bay. Mindful of the harm the recession has inflicted on many families, McKinley recently made a major multiyear commitment to Smith to support students from struggling middle-income families. 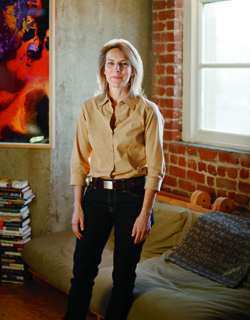 Laurie Bouck ’88, a freelance writer based in San Francisco, writes about public health at med-fly.blogspot.com.